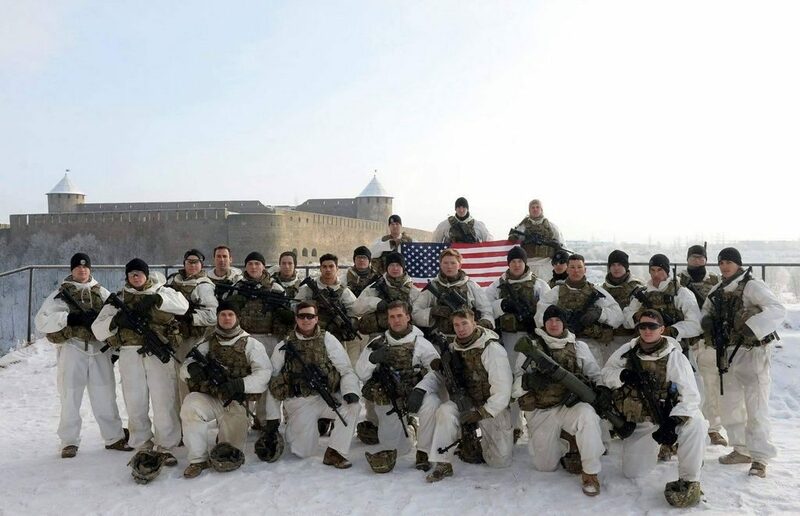 A picture of a dozen of the U.S. army’s combatants made in an Estonian town of Narva caused a lot of online discussions among Russians, Ukranians and the citizens of the Baltic states. While some seemed to be preparing for an attack by U. S. forces against Russia, others were joking with allusions to the unhappy stay of the Nazist Germany troops here in 1941 — 1944. The reason for discussions to erupt was the fact the photo had been taken with Russian town of Ivangorod in the backdrop. The escalation between Russia and the West adds fuel to many issues that normally would go even unnoticed. The recent deployment of the NATO forces in the Baltic states has become one of the major topics in the Russian media with many people fearing a possible war. So it is not surprising that any move, even as symbolic as a mere photo, can lead to a birth of a hot topic with numerous comments. A group of American soldiers dressed just like they were going to fight or train and lightly armored was shot (hmm.. seems not as an appropriate word here, but we think you understand it right due to the context) on the shore of the Narova river. The river is a natural border between Russia and Estonia as well as two neighboring towns — Russia’s Ivangorod and Estonia’s Narva. The distance between the two towns, linked by a bridge, is just a bit more than one kilometer. So, the soldiers’ photo features also the Ivangorod’s fortress, one of the oldest fortresses in Russia, now a big museum and a site for historical events. Internet users condemned the presence of the NATO forces so close to Russia. Many of them posted together the photo of the U.S. soldiers and the photo of the fascist soldiers cemetery left here when the Hitler’s troops were escaping from the Soviet Union in 1944. Someone aggressively asked if the U.S. combatants «were asking for troubles», someone said they were looking more like airsoft players.